Complete with detailed instructions, diagrams and photographs to lead you step by step through the most used knitting, finishing, and embellishment techniques, Vogue Knitting Quick Reference is the perfect companion for knitters of all skill levels. Finally—all your knitting conundrums addressed in one informative and compact guide! 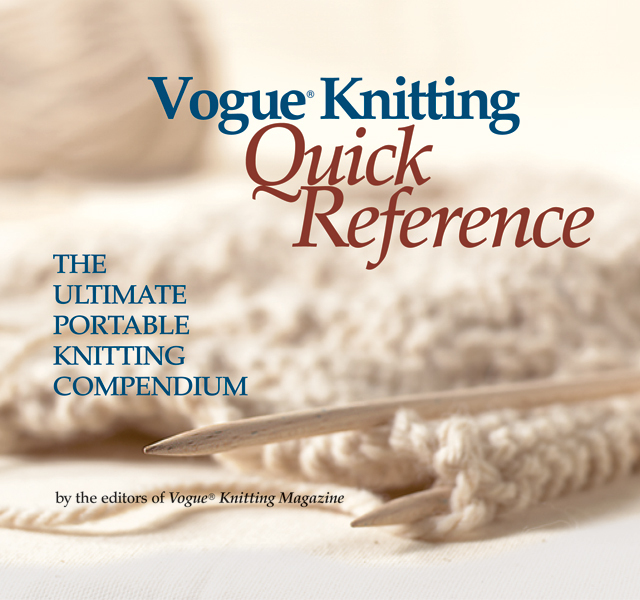 The best features of Vogue Knitting: The Ultimate Knitting Book—the bible of knitting reference guides—have been collected in this compact resource, perfect for the busy lifestyle of today's knitter. All the information you'll need to take a project from start to finish is offered in an easy-to-use, portable format. Complete with detailed instructions, diagrams and photographs to lead you step by step through the most used knitting, finishing, and embellishment techniques, Vogue Knitting Quick Reference is the perfect companion for knitters of all skill levels.